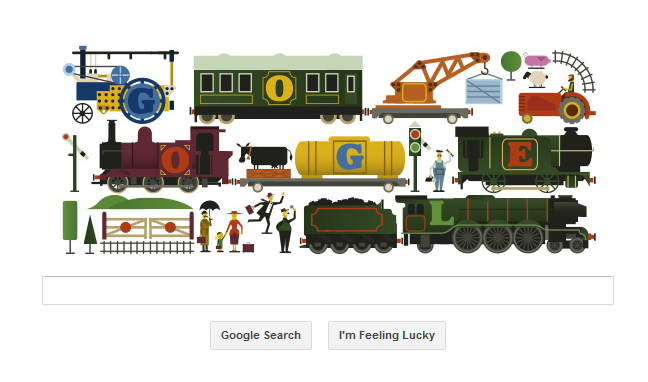 Today's Google Doodle celebrates the 150th Anniversary of the birth of Frank Hornby. My Dad had a Hornby train set... we were never allowed to play with it unattended... it was attached to a folding board (with hinges) which stood on some builders wooden horses. It was fantastic; beautifully detailed, and great fun. It was fairly unpopular the occasion that it was plugged into a dodgy socket and blew the fuses in the entire house!